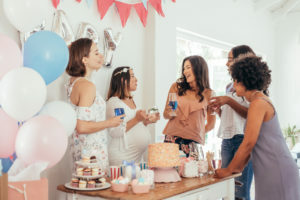 Browse our list of easy and practical baby shower gift ideas that will make an impact in a price range that works for you! Bedtime books for baby’s first library: Help the new mom stock up on childhood favorites. Choose from some of your or your child’s top picks — no one’s saying it, but this is a great last minute baby shower gift if you’re in a pinch! Personalized Baby Dove washes: Show you put a little bit of thought into this budget-friendly (and wonderful smelling!) personal baby shower gift idea! BreathableBaby crib liners, sheets or mattress pad covers: As baby gets older, give him or her a safer, clean, and comfortable place to sleep and the expecting mom some peace of mind every night (or naptime)! Cuddle + Kind Doll: You’ll be a true good samaritan by purchasing this thoughtful, cute gift and giving to those in need at the same time — buying 1 doll donates 10 meals to help feed children! Bonus Tip: Dolls, toys, and stuffed animals are great for playtime, but keep cribs free and clear at all times to ensure children sleep safely. 1-year subscription to BabyPage: The modern day way to scrapbook and document the cutest, best, and most monumental moments of a child’s life! Give the gift of memories to your loved one and their soon-to-be loved one. BreathableBaby Deluxe Mesh Crib Liner: Enhance their nursery with a stylish, modern, and breathable mesh crib liner from BreathableBaby. Choose the premium mesh or color that fits their style and get a little something for you with free shipping on your order over $29.99. 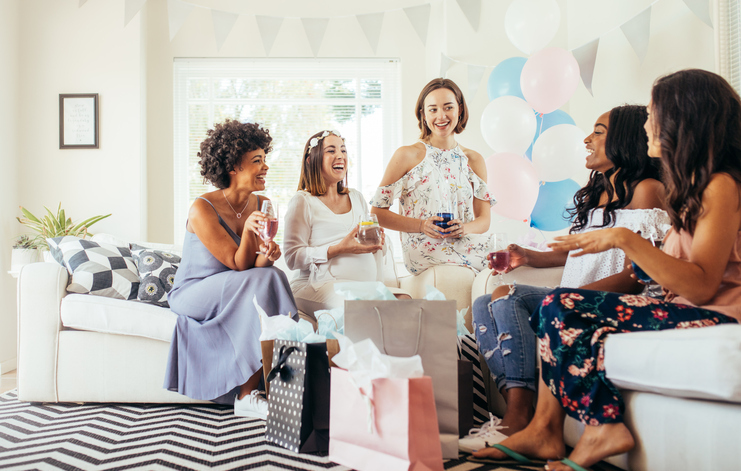 Looking for the best baby shower gifts for your sister, daughter, or maid-of-honor-level best friend? We all know they’re most excited to share their new adventures with you — go the extra mile by getting an extra special baby shower gift! A chic, modern baby stroller: Go in on this gift with a group and pick that baby stroller you’ve all been eyeing for yourselves. Watch their face light or tear up when they unwrap your gracious gift and get excited over the new mom joining the walking group. Personalized diaper bag: A durable and functional diaper bag is one of the most useful gifts for new moms that they would never take for granted. You could choose a monogrammed style to give it an extra special feel like this Pottery Barn Kids Classic Diaper Tote. Bonus Tip: Add another personal touch to a quality diaper bag with a quick “packing essentials” cheat sheet of your own inside for a personal surprise! Gift card for newborn photography session: Yes, you will be partially responsible for their Instagram and Facebook being covered in adorable photos of their baby. Own it and help them share their bundle of joy with the world! A baby shower basket of non baby gifts for the new mom. Yes, it’s not exactly priceless, but definitely needed and appreciated for the journey ahead. Opt for spa gift cards, a cute robe, or a list of your favorite trusted babysitters. Whether simple or over the top, a little something special for her is sure to provide some relief for an exciting and anxious time. 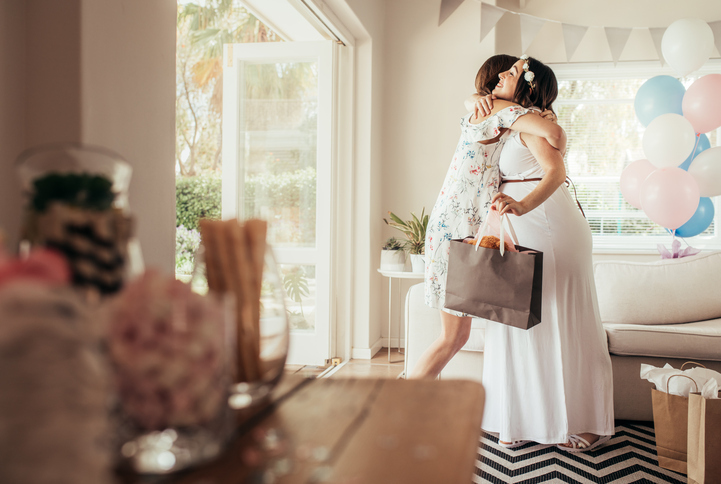 No matter your budget you can find a special gift for her to show you care and that you’ll be there for your fellow mom! Interested in how we make safety and peace of mind a priority for you and your baby? Learn how we are always giving the gift of a safer night’s sleep.